After serving as an officer in U.S. Air Force, Ronda became a stay-at-home mom to four children, Ben, Zach, Nick, and Allie. As they grew, volunteering became Ronda's profession. Ronda Kantack became involved with Brookings Community Theatre, with the production, How to Eat Like a Child, when her four children were cast in it during the summer of '03. She painted scenery, helped with advertising, and served snacks to the cast of more than 40 kids at rehearsals. Then, in 2010, she decided to move from backstage to onstage as Grandma Josephina in Willy Wonka, Jr. and enjoyed sharing the stage with two of her children, Zach and Allie. Since then she has done two more shows with them. But, being onstage doesn't keep her from helping backstage. She spends hours painting sets and crafting props in addition to helping with getting the word out about the shows through hanging posters and doing radio spots. She has been involved in her kids' schools, her church, and the Brookings community since moving here in 1996 with her husband, Kelly. 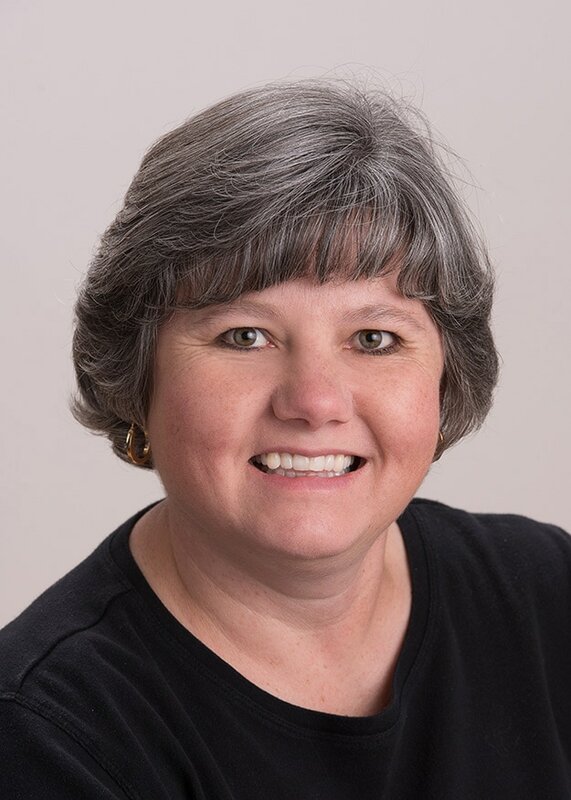 Besides being involved with BCT, Ronda is a BHS Band Boosters board member, the Brookings PTA Council President, an advisor to the BHS Quiz Bowl, and a religious ed teacher at her church. Ronda enjoys being a part of the BCT because of the wide variety of people she gets to work with and especially enjoys working with her children.